Mozambique’s forests are disappearing at an alarming rate, with most of the destruction caused by excessive logging, corruption and weak laws. Better enforcement and improving regulations, including in its trade with China, are key to reversing this trend as ‘China in Mozambique’s forests: a review of issues and progress for livelihoods and sustainability’, a new report from the International Institute for Environment and Development (IIED) shows. About 10,000 square metres of Mozambique’s forests are being cut down every minute. And almost all of the 93% of its timber that it exports to China is from just five species. According to customs import and export data, the rate of harvesting these species exceeds even the highest limit permitted under Mozambique’s forest law. Some analysts are concerned that this could lead to the complete depletion of these commercial species over the next 15 years. The country’s forests cannot sustain this rate of destruction. Not only will it devastate the country’s environment, it will also damage its development. In June, China and Mozambique signed a Memorandum of Understanding, which has the potential to help save Mozambique’s forests and make its timber industry more sustainable. One crucial aspect is that it commits China to invest in establishing timber processing plants within Mozambique. This will help put an end to the practice of shipping either whole logs or poorly cut timber to China, which in some cases are not useable by the time it arrives. Or due to outdated technology, has resulted in unnecessary and significant waste. In China, state of the art industrial processing plants are standard. With China adopting a ‘go global’ investment strategy it has an opportunity to transfer high-tech processing technology to Africa. 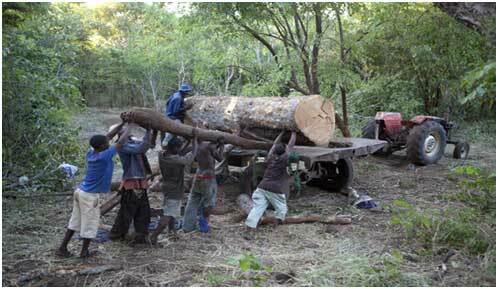 The new processing facilities that have already been established in Mozambique can cut the timber with minimal waste. New giant drying warehouses allow freshly cut wood to dry properly stopping it from warping en route to China where it is turned into furniture, flooring, panelling and a range of other household items. The more processing that can take place in Mozambique, the more the timber industry can provide local jobs, while also increasing the amount of tax that is paid to the Mozambique government. Better processing also means that fewer trees are cut for each item created because the processing is more precise and wastes less wood. This type of increased investment also acts as an incentive for Chinese companies to care about the health of the forest. In committing significant amounts of money, they will expect to see a sustainable supply of timber over the long term in order to pay back their investments. This will not be possible if the forests are depleted by over logging. The Memorandum of Understanding also calls for the two governments to work together to increase such investments and develop a bilateral verification system to combat illegal logging and sustainably manage forests. Cutting out low-cost, illegal operators is an important part of making sustainable forestry pay. One frequent problem has been that the volume of timber leaving Mozambique has been recorded as significantly lower than the amount recorded on arrival. 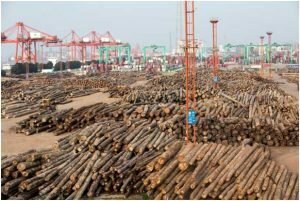 According to UN Comtrade, in 2013 Mozambique reported exporting 280,796 cubic metres of timber to China. The amount recorded on arrival was more than double that at 601,919 cubic metres. 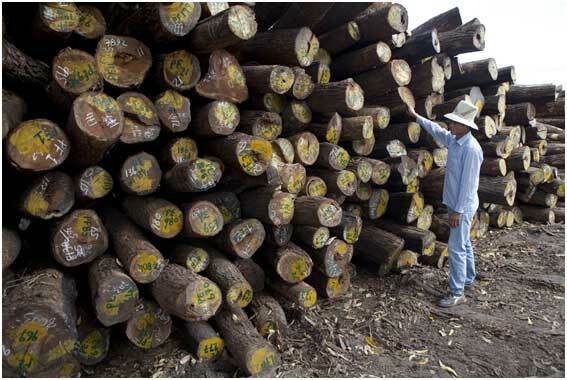 By jointly developing a bar-coded, internet-based, electronic timber tracking system that allows real-time data entry and checking throughout the supply chain, Mozambique’s ability to control legal and illegal logging can be increased. Beyond the Memorandum, inspection and monitoring also need to be improved. Mozambican forest experts have calculated that the number of forest inspectors needs to be more than doubled from 630 to 1,800 to help implement any new timber tracking system. Mozambique also needs to implement substantial reforms to its forest law. Legal reforms began in 2015 but have stalled. Critical is the need to change how concessions for logging are granted. There are two types of licences: Long-term industrial-scale concessions and short-term simple licences. Simple licences, which are granted for up to 10,000 hectares of forest designated for logging, are particularly destructive. Renewable every five years, the short licence period and minimal management requirements makes these forests especially vulnerable to wholesale plundering of valuable species, as there is no incentive for companies to give smaller trees time to mature for future harvests. And in 2017, geo-referenced mapping revealed that some of the concession areas are more than six times larger than officially allowed. It is crucial that simple licences are scrapped and that all concessions are granted for 50 years, with mandatory regular compliance assessments and sustainable management plans. The forest law also needs to grant commercial forest rights to communities that already have land rights. Currently, local forest communities are required to abide by the same expensive and complicated process as industrial companies when applying for concessions – including having to build a processing plant. Because of this, many communities collaborate with illegal loggers to earn at least some money from the rapidly diminishing forests. In a couple of cases, local NGOs have helped communities apply for concessions, but the costs and complexities of running a processing industry is far beyond their means. More needs to be done to secure their commercial rights. This could include establishing new community forest concessions that are conditional on keeping the forest intact. By giving local women and men the right to make money from timber sales to third parties, they will have more incentive to protect the forests. Mozambique and China are in a position to make the changes needed to establish a sustainable forest industry that will benefit local forest communities and the country as a whole. Now it is just a question of whether they have the political and practical will.